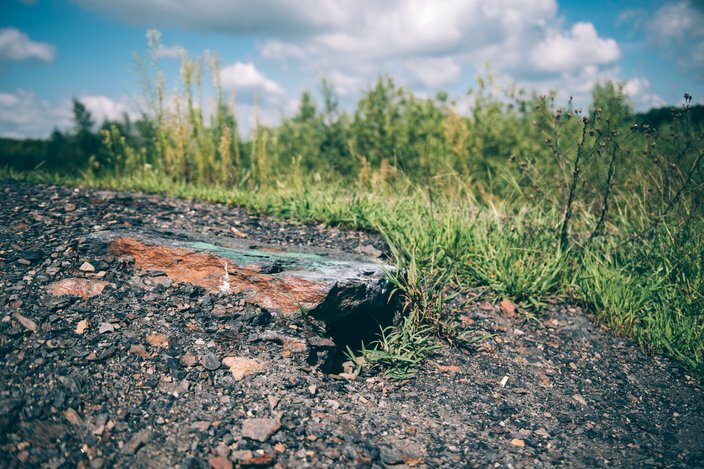 A large crack in the highway shows evidence of where steam once billowed out from beneath the asphalt. 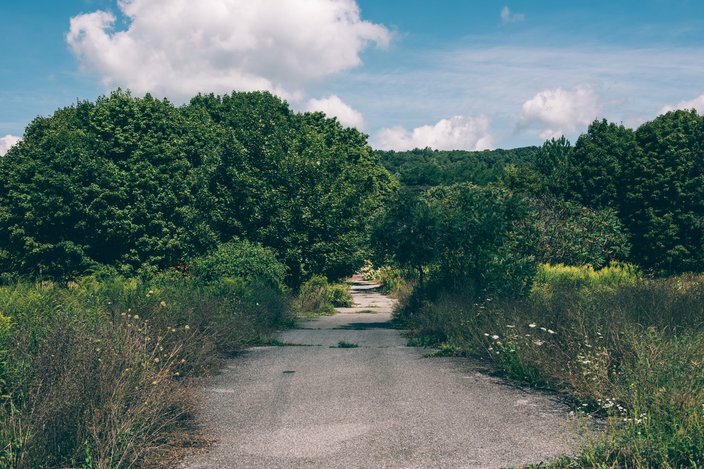 Drive about two and a half hours northwest of Philadelphia and you’ll find Centralia, a mostly abandoned town filled with overgrown roads, an eerie sense of stillness and an odd number of graveyards. 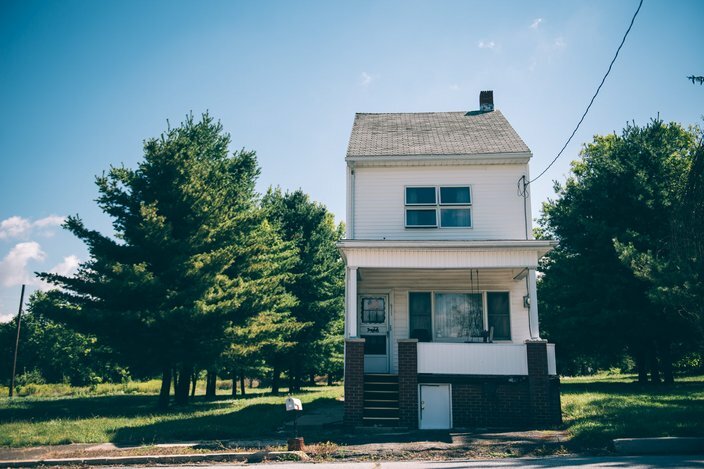 It’s the least-populated municipality in Pennsylvania — and the only municipality that's had a fire burning beneath it for 50-plus years. 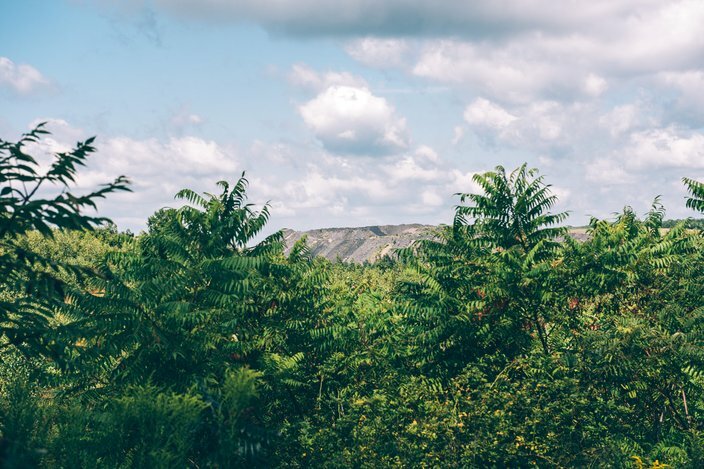 Once home to a thriving mining community of roughly 1,500 residents, the coal town saw its first three families move out in 1969, seven years after a coal fire set ablaze in the mines below. While no one knows for certain the fire’s exact origins, it was believed to have started in a garbage dump over an open coal seam in 1962. Fire officials at the time did their best to put it out, but like an egg stuck to a non-non-stick pan, the blaze clung to the coal and continued underground. Following a death-by-sinkhole incident and other toxic gas leak concerns, the people moved out it droves. In 1990, there were 63 residents. 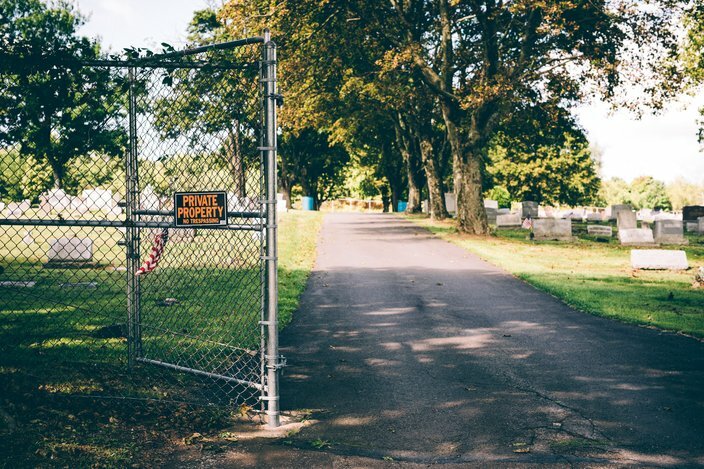 In 1992, the Commonwealth of Pennsylvania claimed all real estate in the borough under eminent domain. Today, Centralia is down to a mere 11 people. 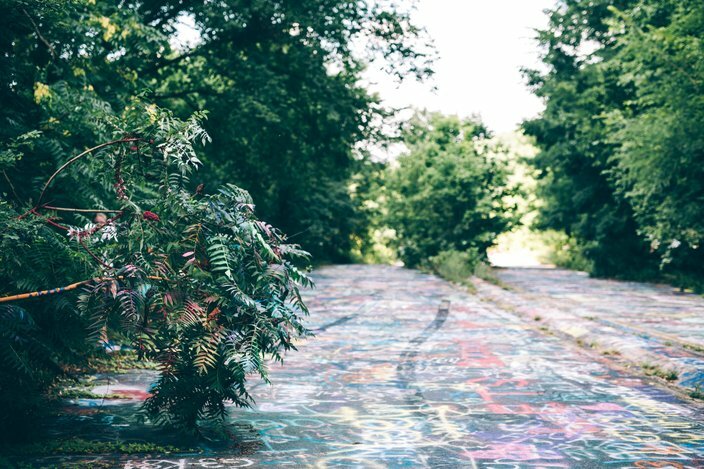 While it is made clear that you explore at your own risk, visitors (and graffiti artists) make their way from all over the state to wander around the sleepy town. 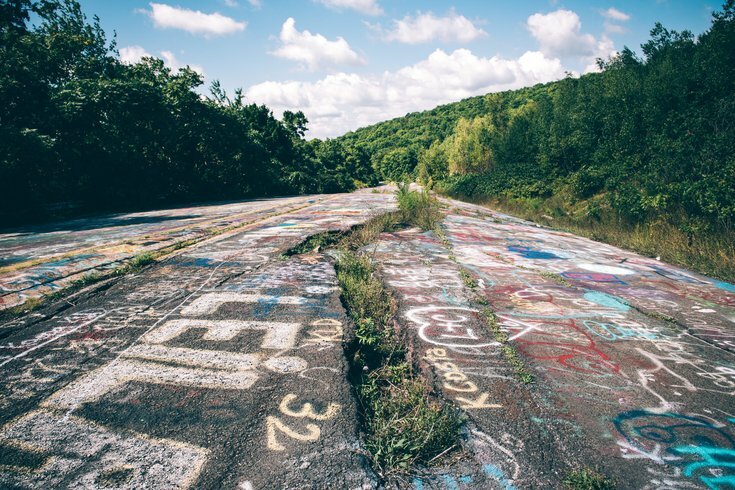 We checked out Centralia to give you a peek of what a ghost town — on fire — in the middle of nowhere PA looks like. Check out the photos below. The first two mines in Centralia opened in 1856. Today you'll find a gridwork of streets with very few homes. 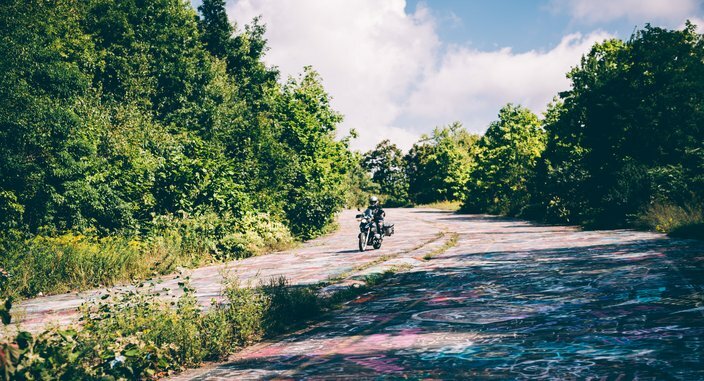 “Graffiti Highway” stands as one of the most popular sights to see in Centralia. 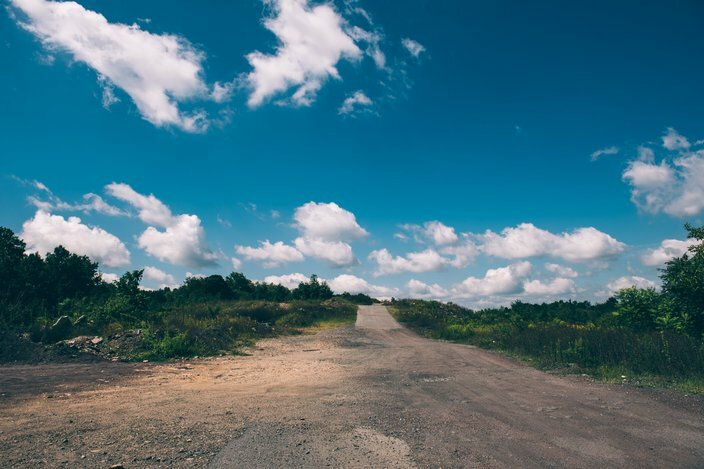 The thoroughfare was once part of Route 61, shut down in the early 1990s due to the structural impairment the fire was causing to the road.The thoroughfare was once part of Route 61, shut down in the early 1990s due to the structural impairment the fire was causing to the road. 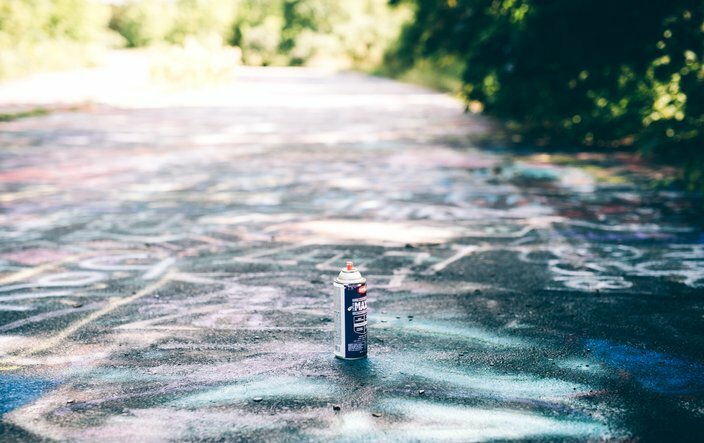 Spray paint covers nearly every inch of the almost mile-long stretch of asphalt, filled with vulgar images and artistic interpretations. Even the trees are bathed in paint. 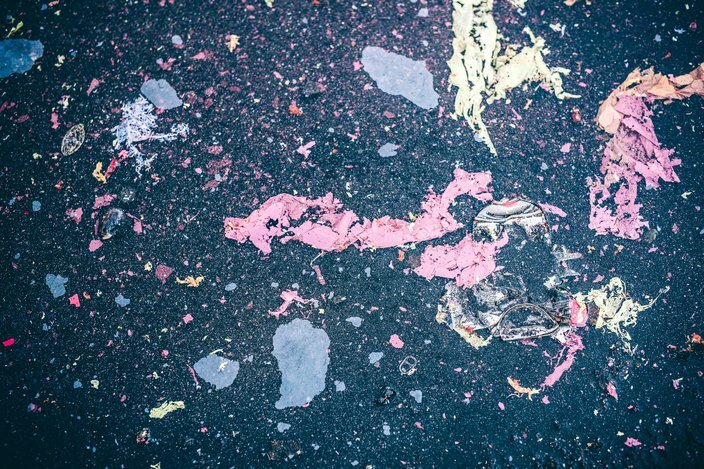 While smashed spray cans and paint litter the area, they also give signs of life in the otherwise desolate, quiet town. Up the hill from Graffiti Highway, three different cemeteries scatter the area. 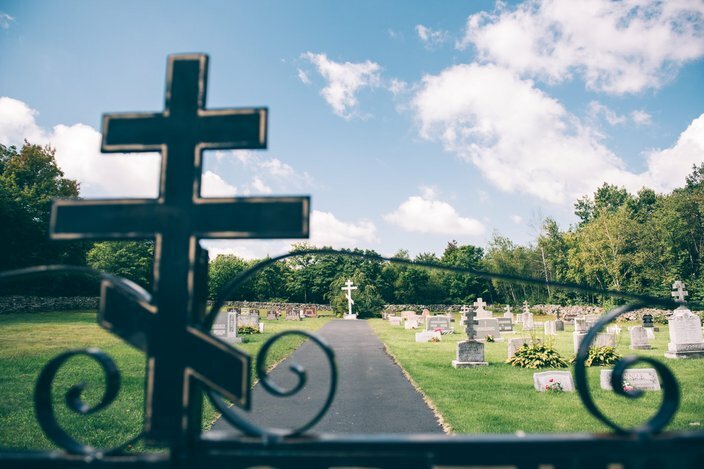 St. Ignatius Cemetery is the largest cemetery, once standing next to St. Ignatius Church and a parochial school across the street, both of which closed in the early 1980s (and were later demolished) as fears of carbon monoxide became rampant. 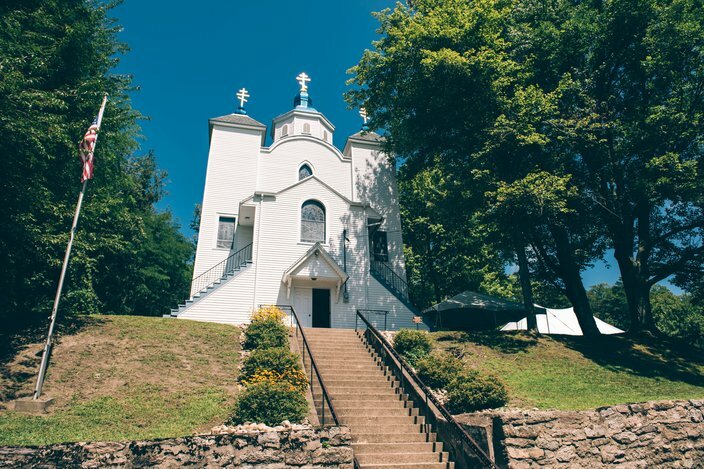 Of the handful of remaining buildings in the town is the Assumption of the Blessed Virgin Mary Church, a Ukranian-Greek Catholic church built in 1911. Spared from destruction since it is outside of the fires impact zone, the church continues to hold services inside. 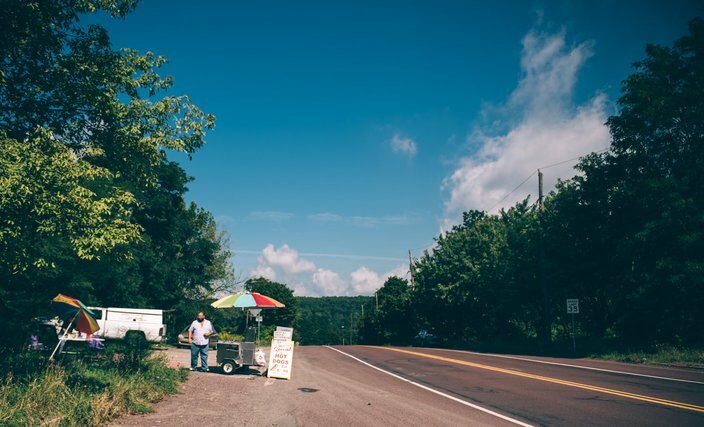 Near the start of Graffiti Highway stands Barrett Bolam's hot dog stand, open each afternoon from Thursday through Sunday. Bolam, who opened the stand just two months ago, says Centralia's residents have been trying to get him to leave ever since. 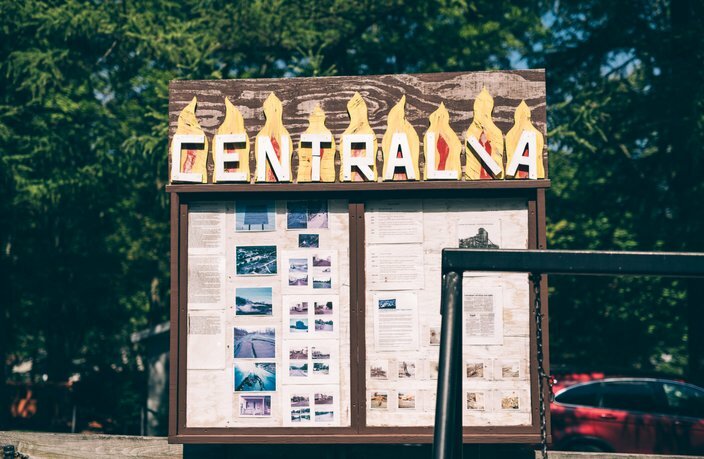 'They repeatedly tell me to leave and try to claim they own the town, yet they're just squatters who are living tax-free', says Bolam about Centralia's current residents. In some spots, (as pictured here), you can feel the heat of the fire burning beneath the ground if you put your hand close enough to the surface. In the winter, steam can be found spiraling up from the ground in these areas. Mountains of coal and nearby facilities can be seen in the distance. 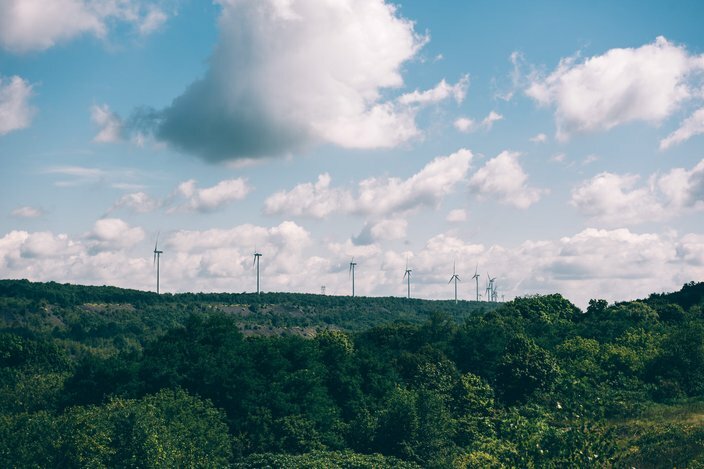 Mirroring the coal is a long line of windmills, showing the fairly recent and contrasting shift towards renewable energy. It is estimated that the fire has spread across around 400 acres so far and has enough fuel to continue burning for possibly another 250 years. 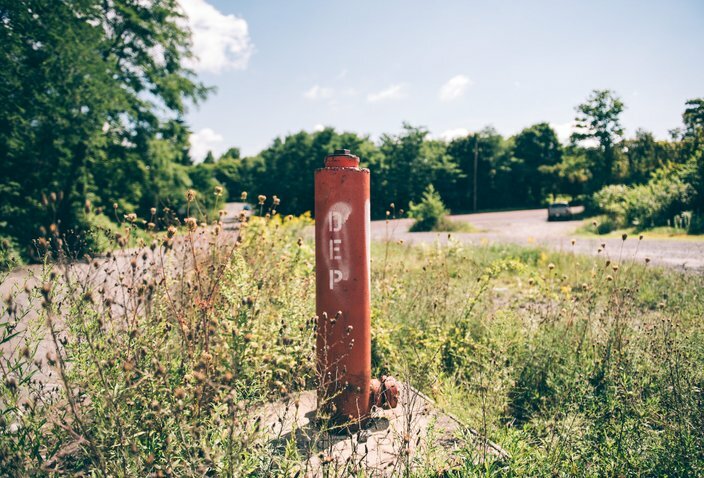 The DEP continues to observe the area in Centralia using gas monitoring wells. 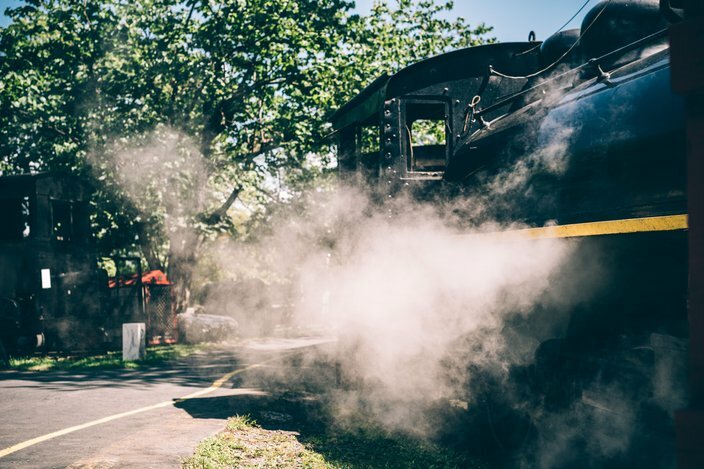 Just a couple miles down the road lay the neighboring town of Ashland where visitors can explore Pioneer Tunnel, a tourist attraction that unveils the history of the surrounding coal mining region.